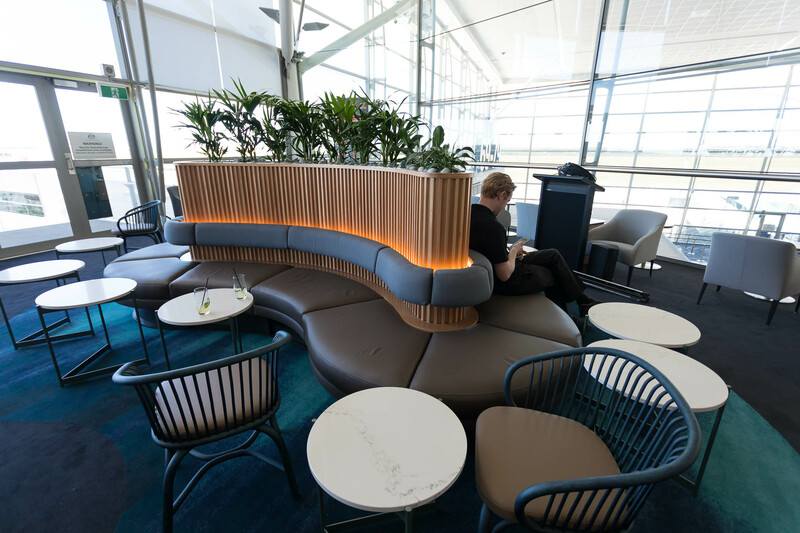 The lounge has been closely modeled around the brilliant Hong Kong and Singapore lounge but also reflects various aspects of Queensland which is a nice touch. 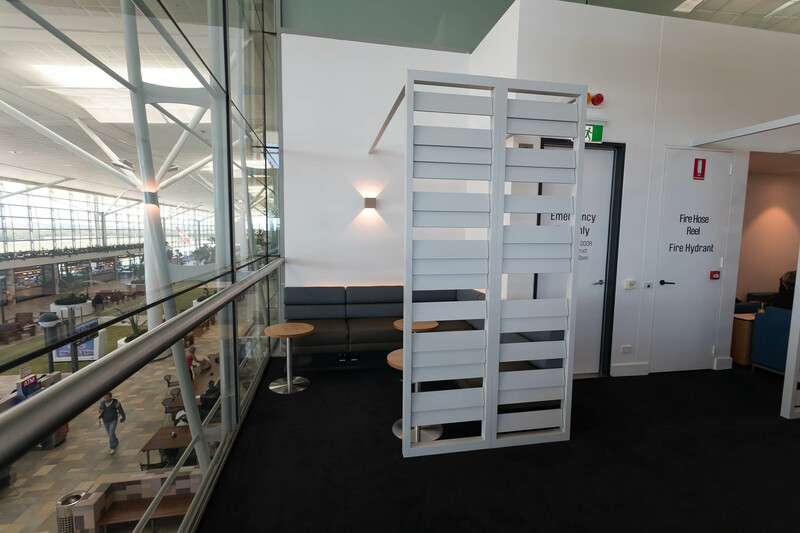 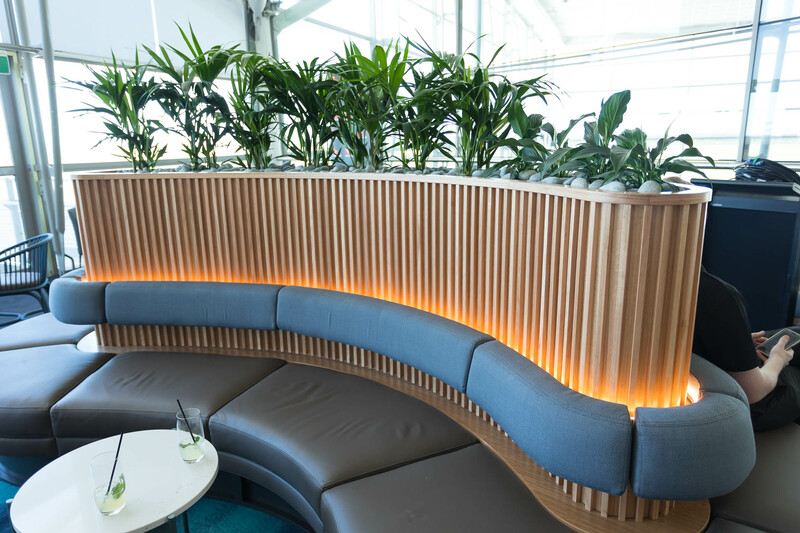 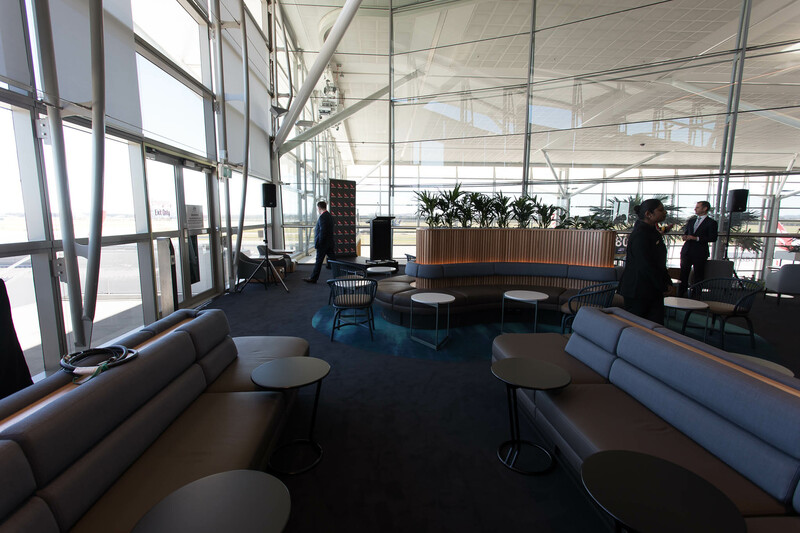 The lounge has been created into a single premium lounge combining various aspects of both business and first class; the previous lounge had separate sections. 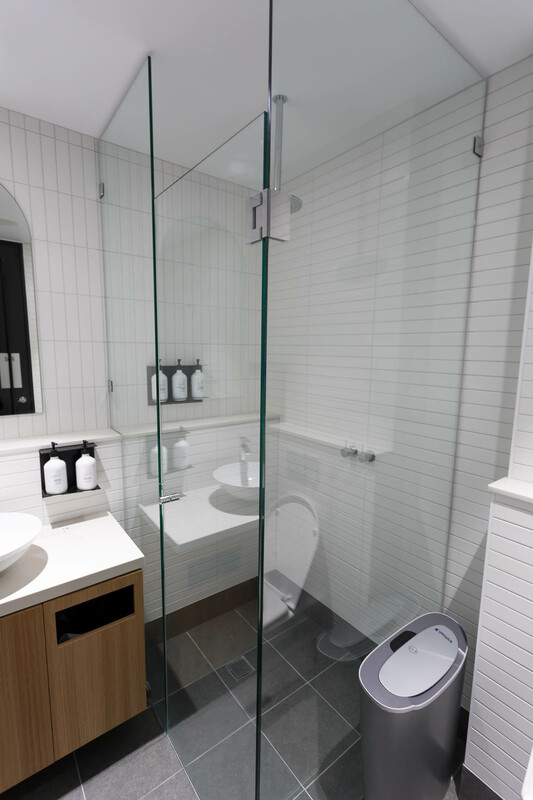 Now the upstairs area is accessible and is only open in the morning. 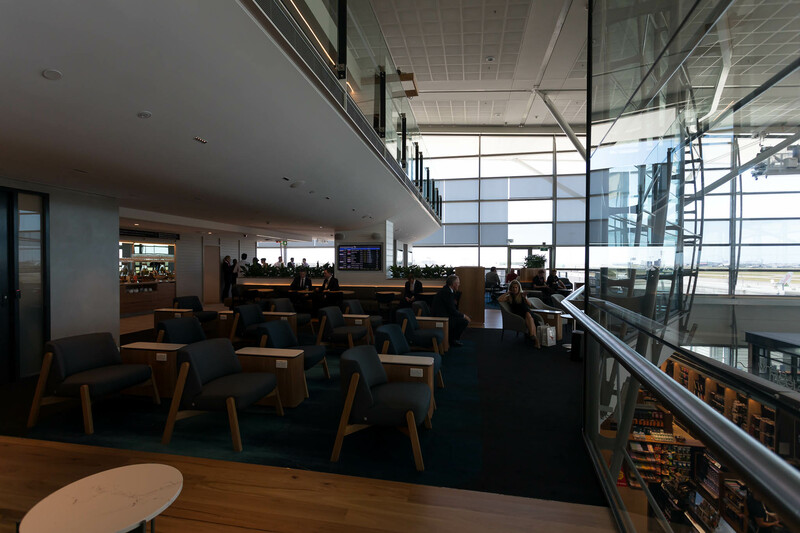 The lounge is now 30% larger and it’s definitely noticeable. 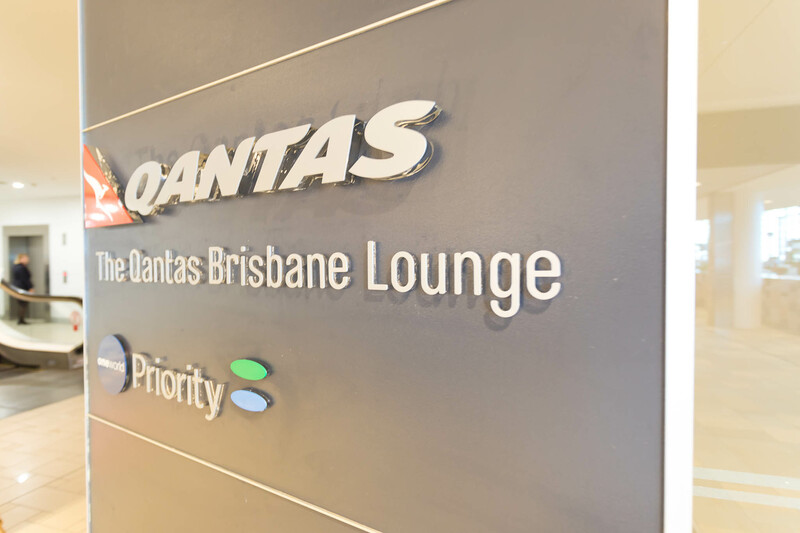 The lounge is located where it previously was (opposite Gate 80). 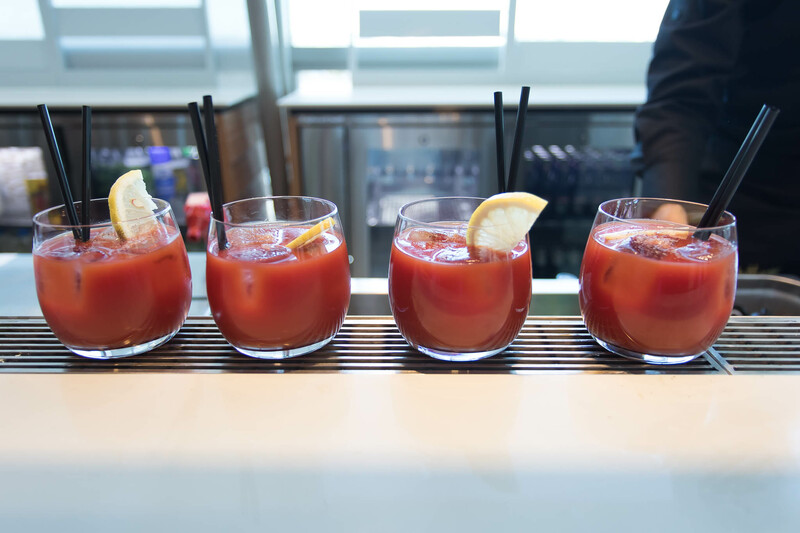 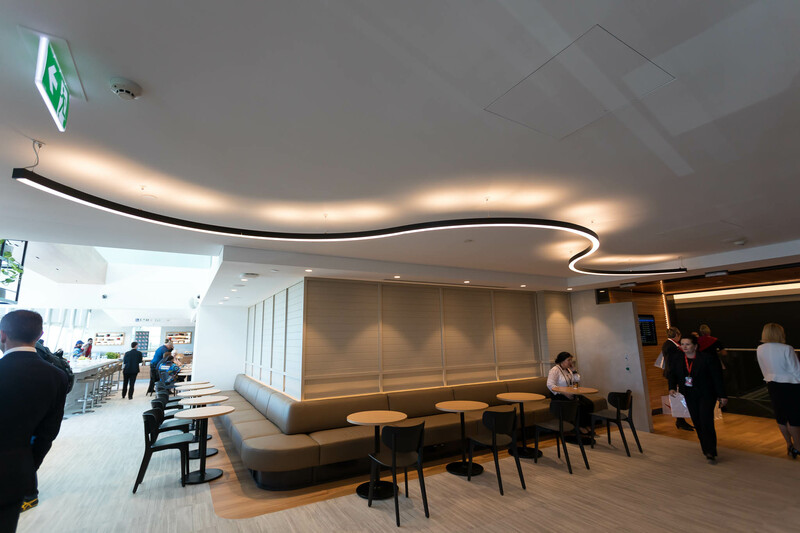 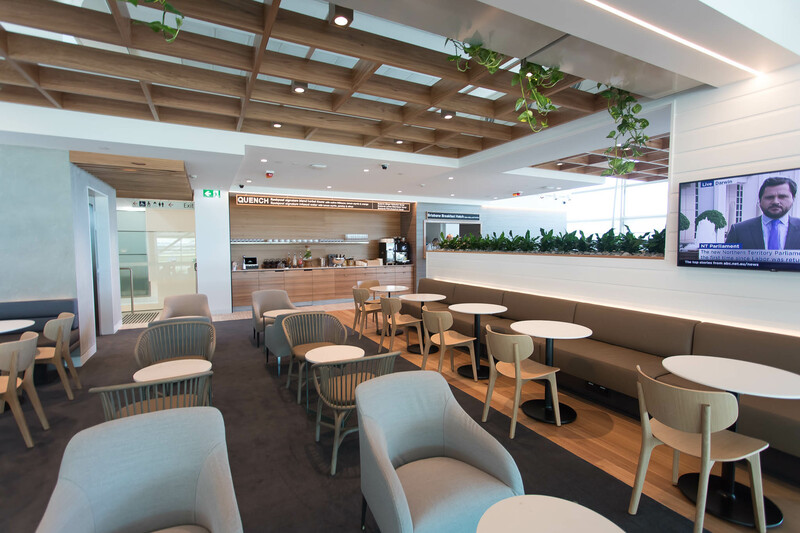 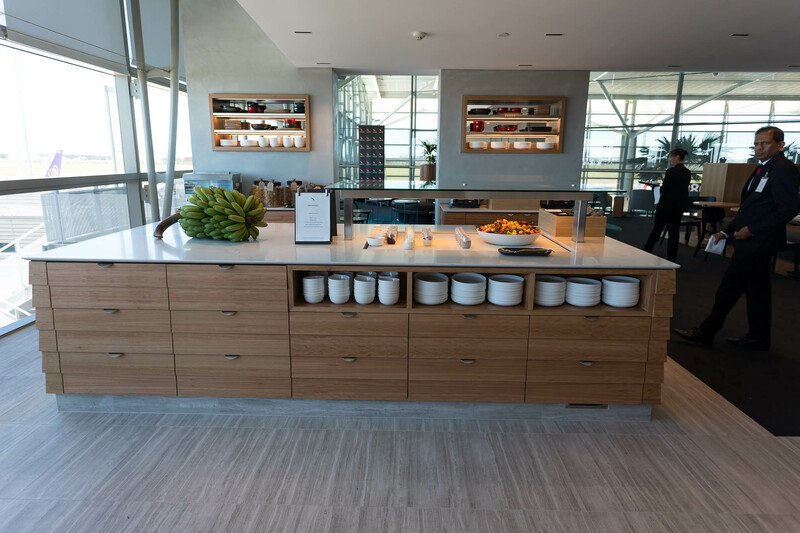 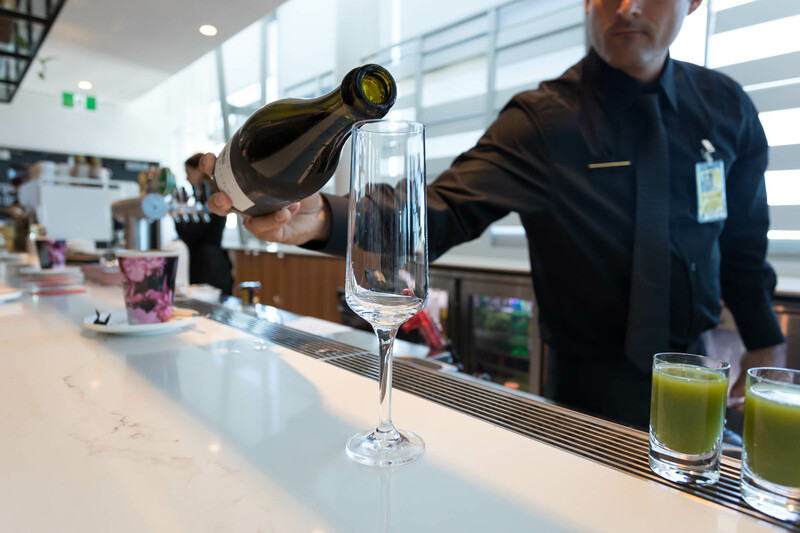 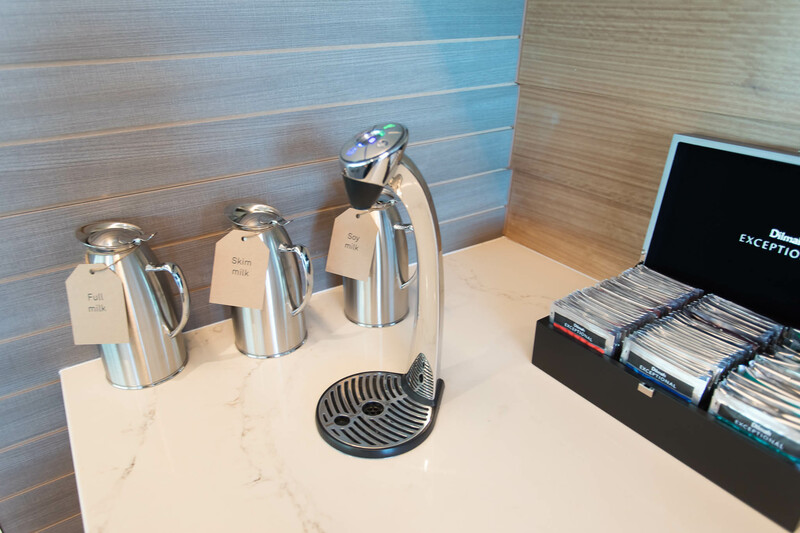 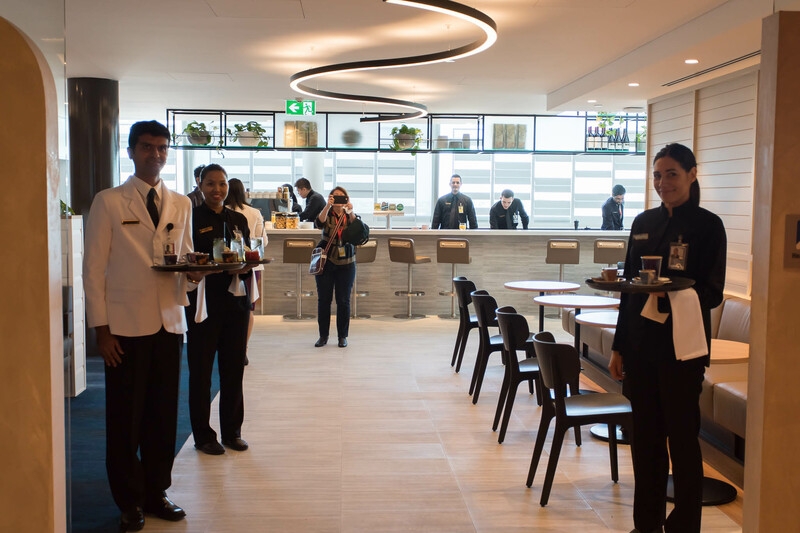 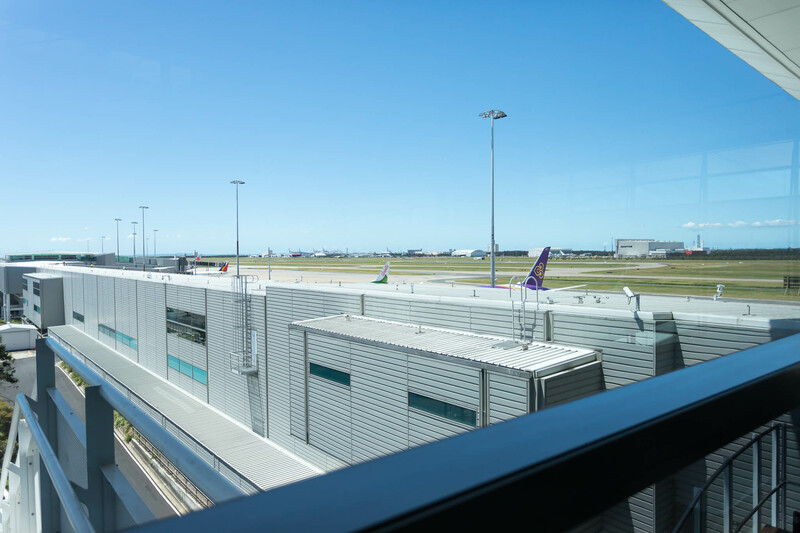 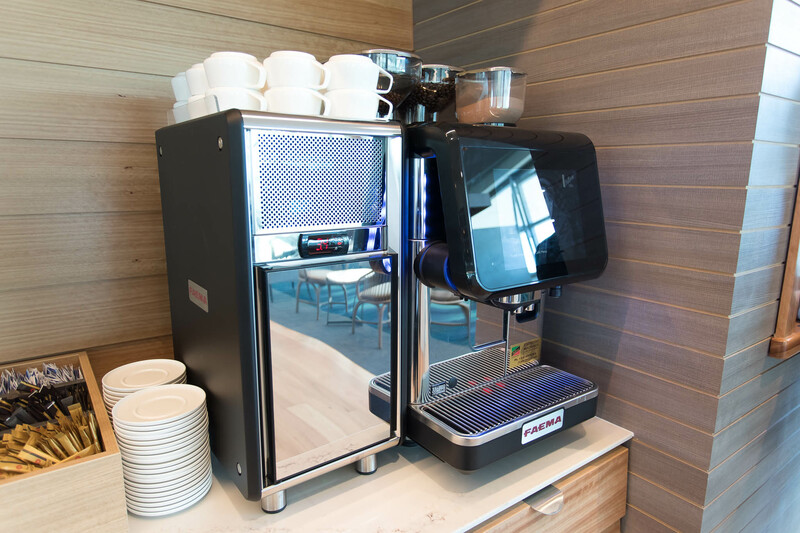 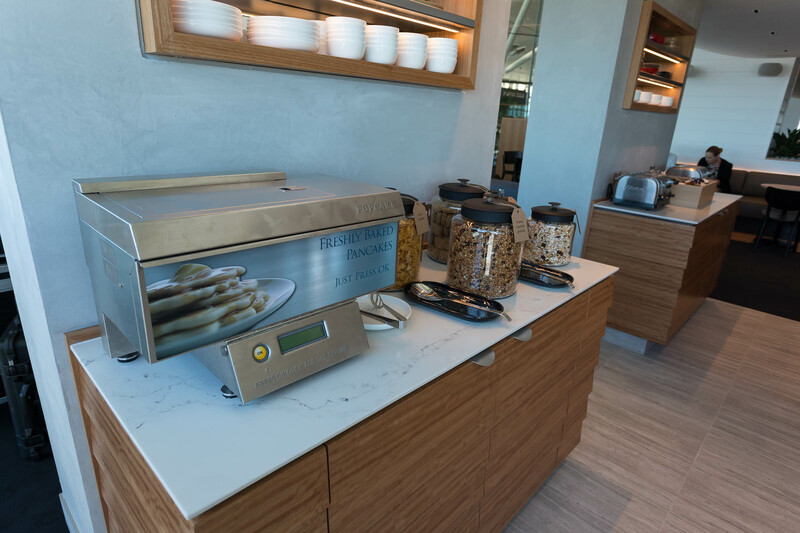 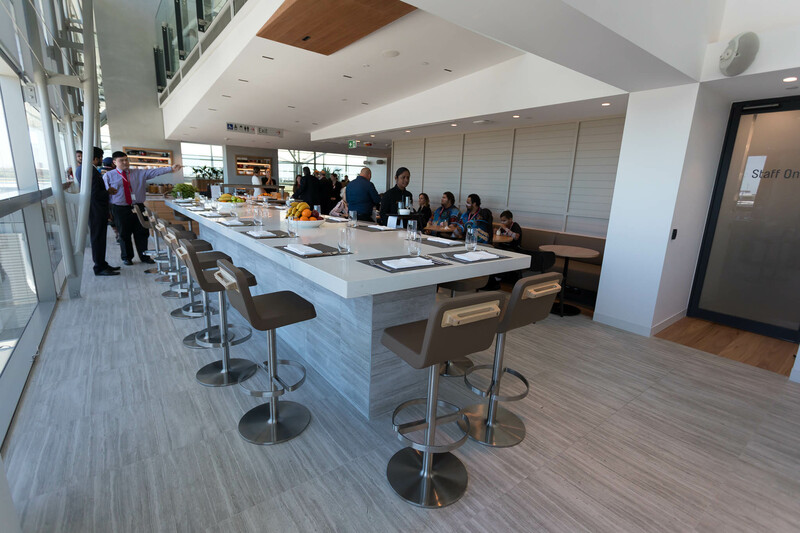 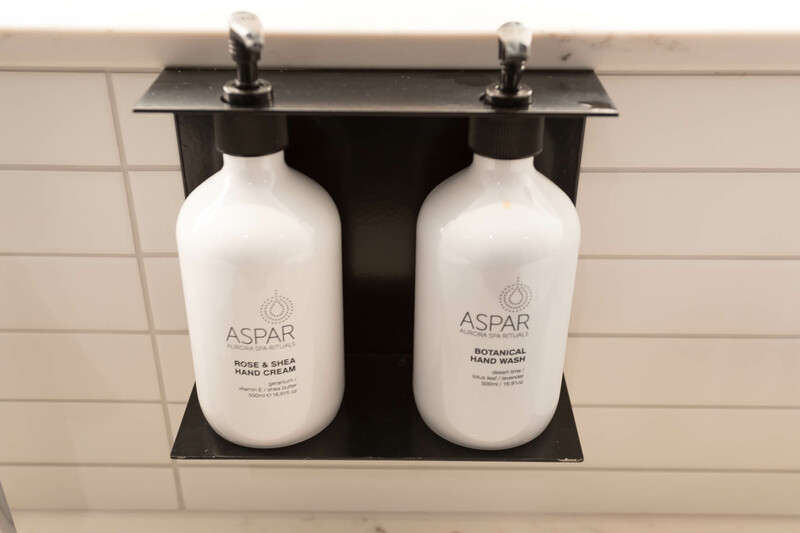 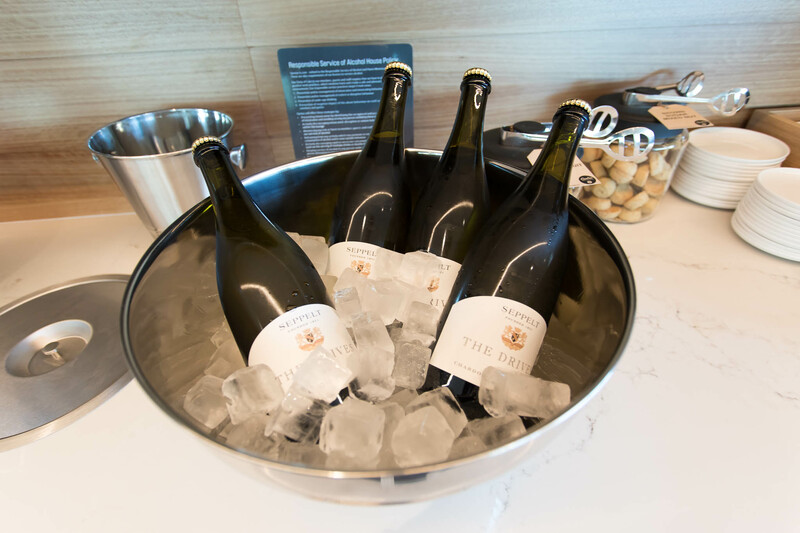 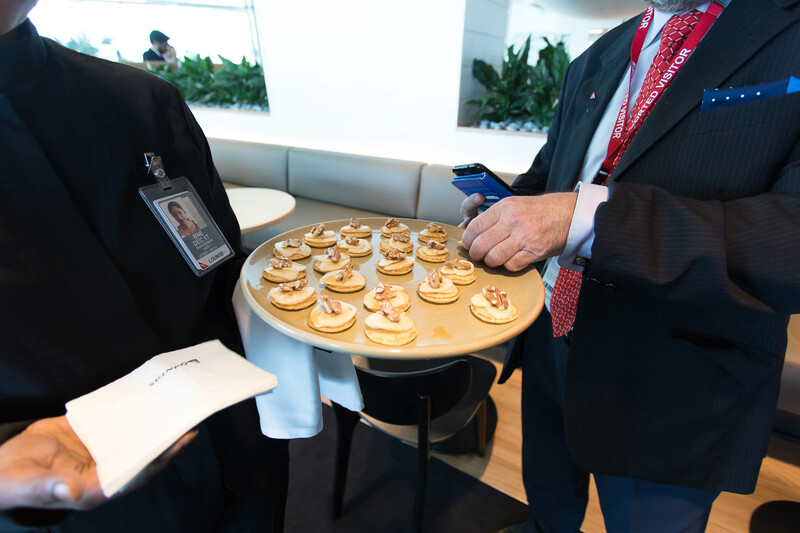 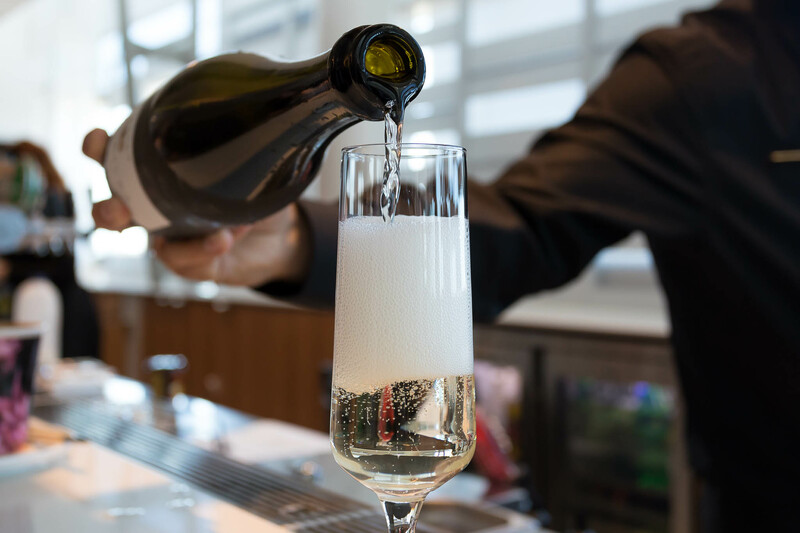 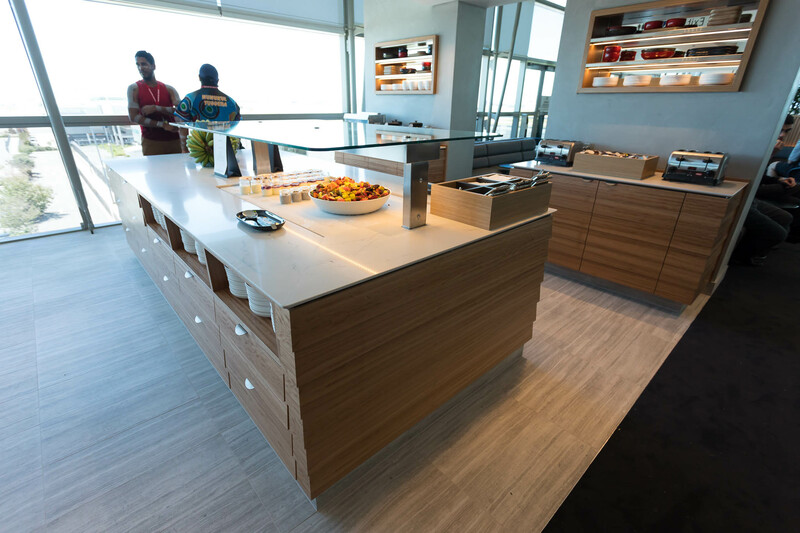 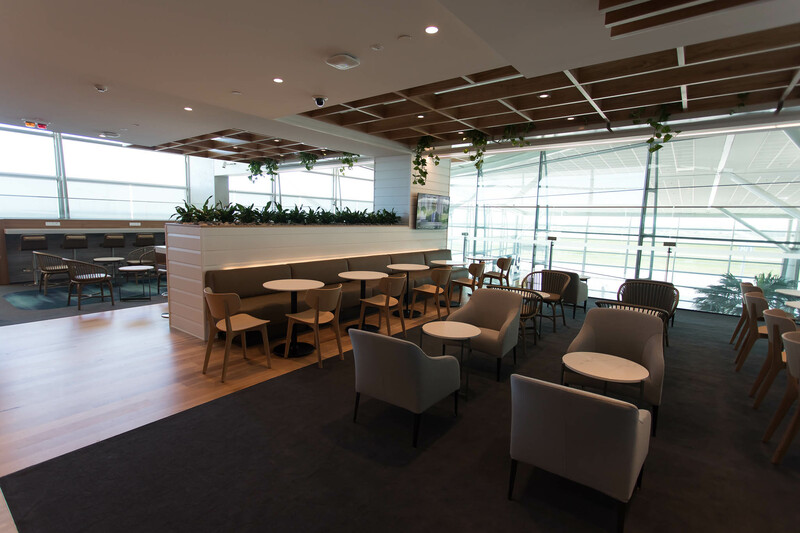 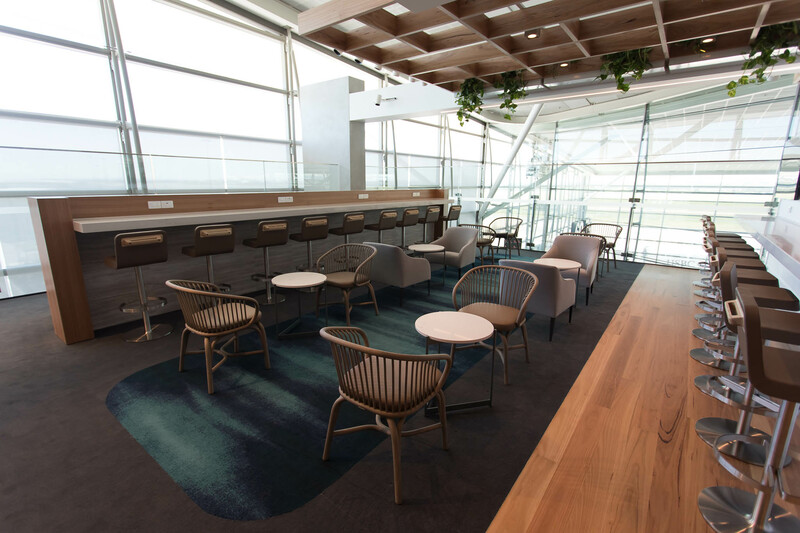 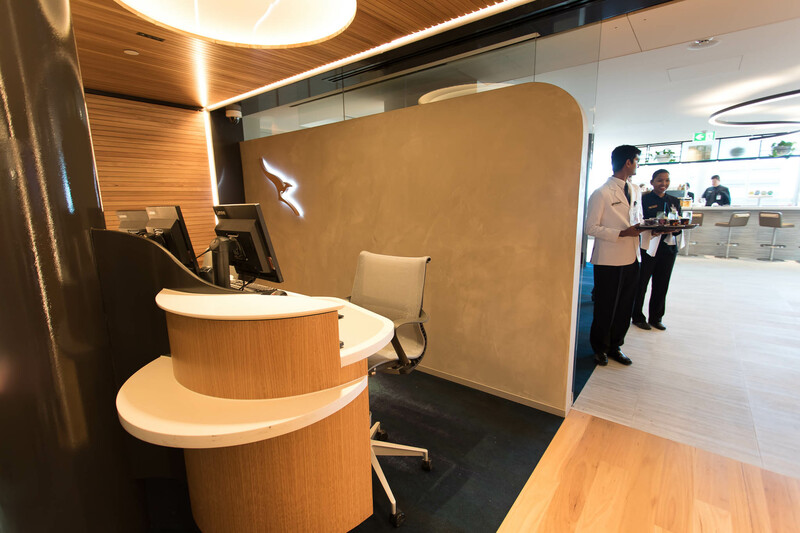 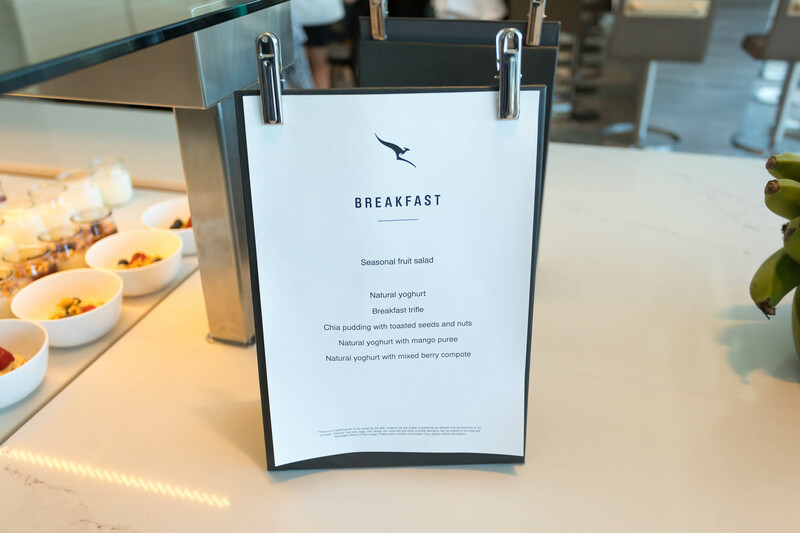 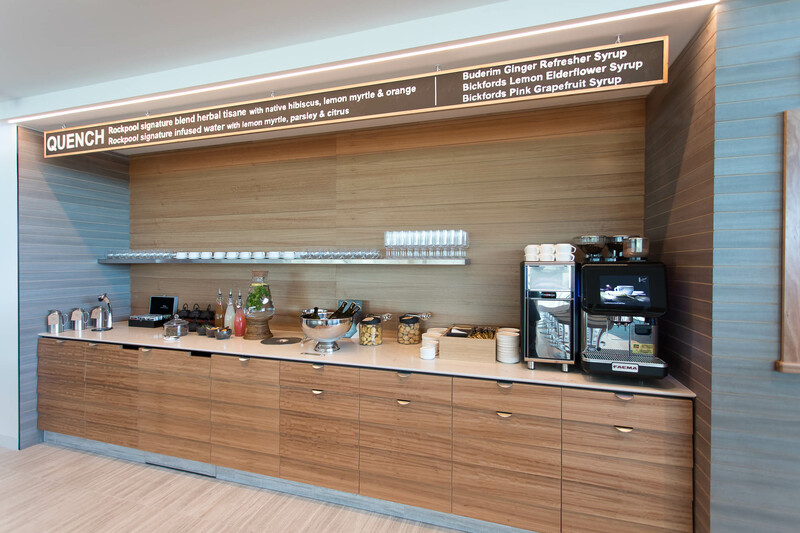 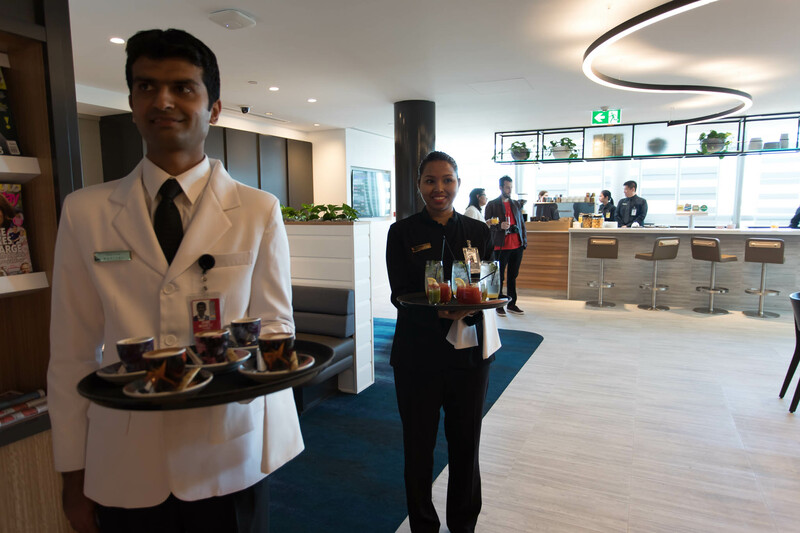 Business class guests, Chairman’s Lounge, Platinum one, Platinum, Gold, Qantas Club, Emirates Gold and Platinum and American Airlines Admirals Club members can access the lounge as well as Oneworld Sapphire and Emerald members. 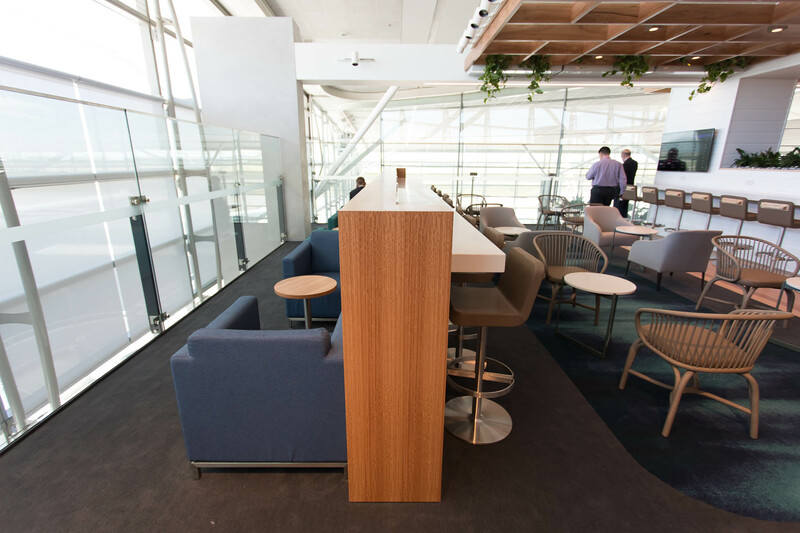 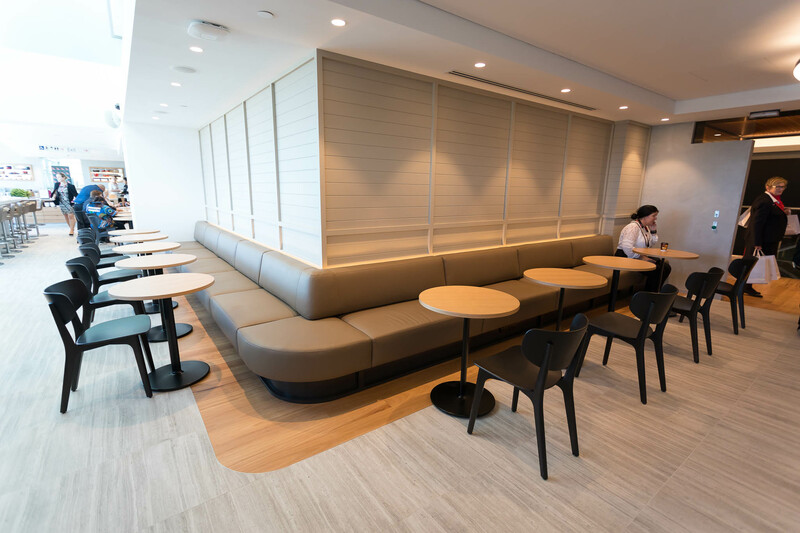 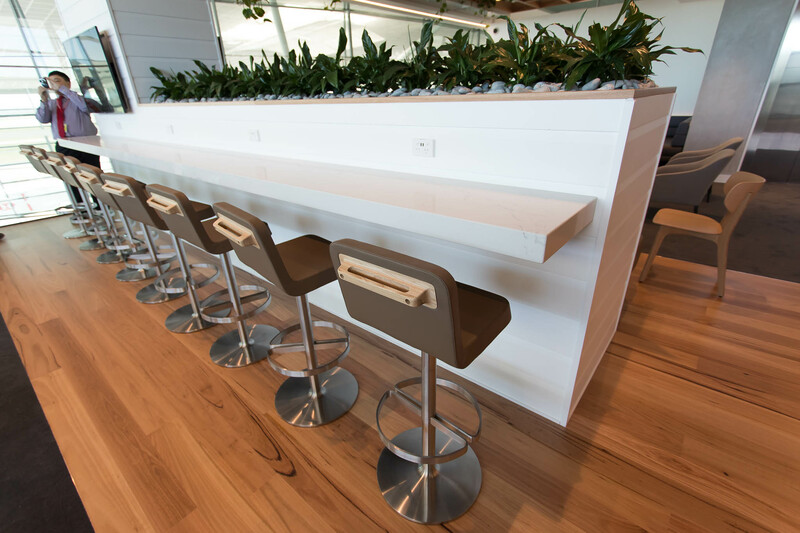 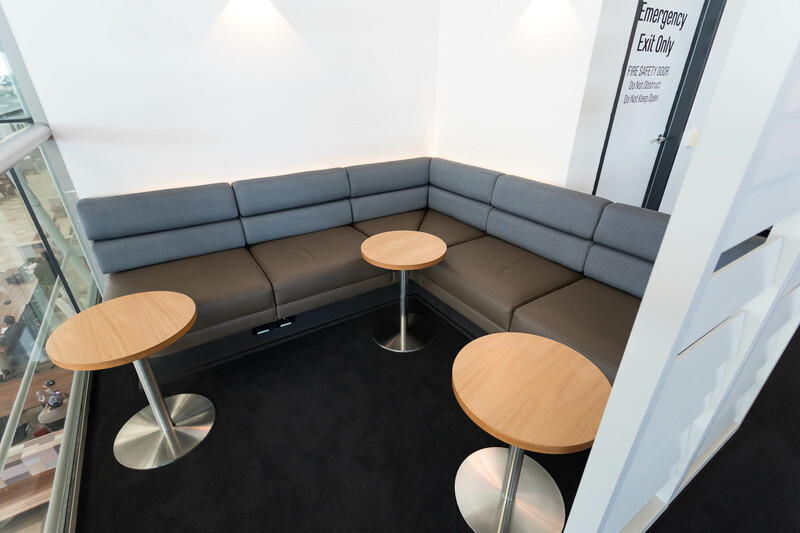 The lounge has ample amounts of seating spread throughout level 1 and 2. 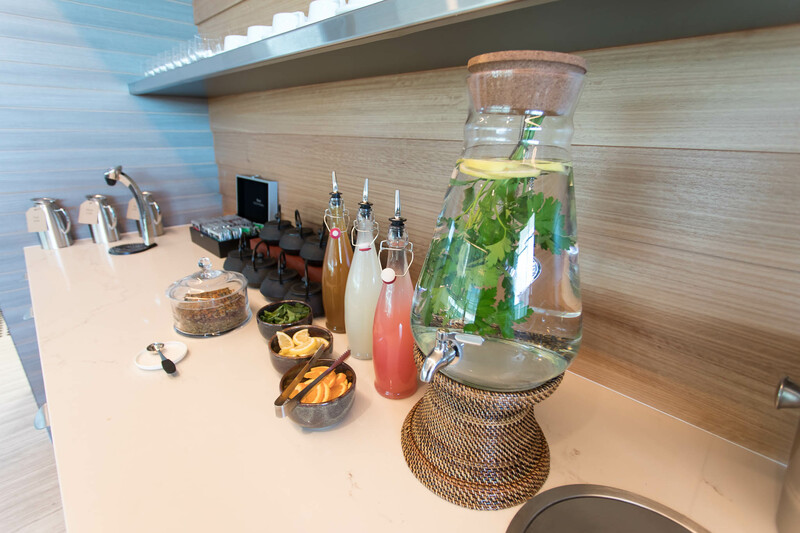 The bar also does coffee and tea as well as other non-alchoholic beverages. 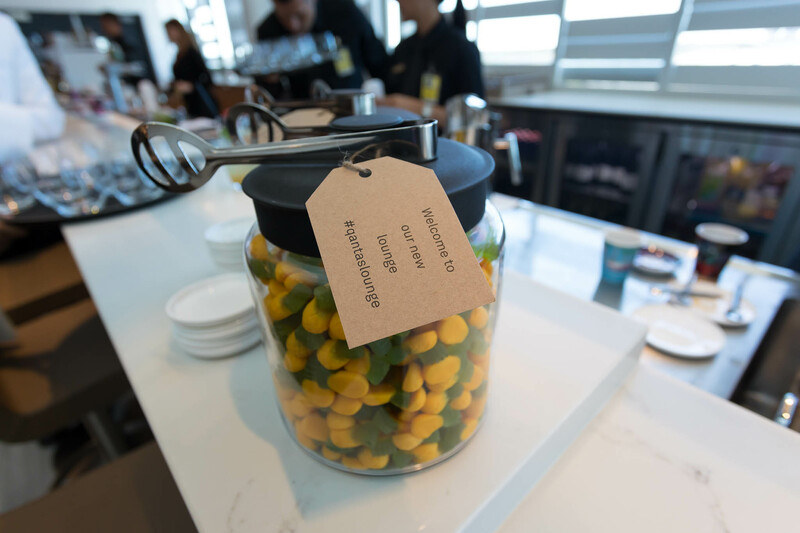 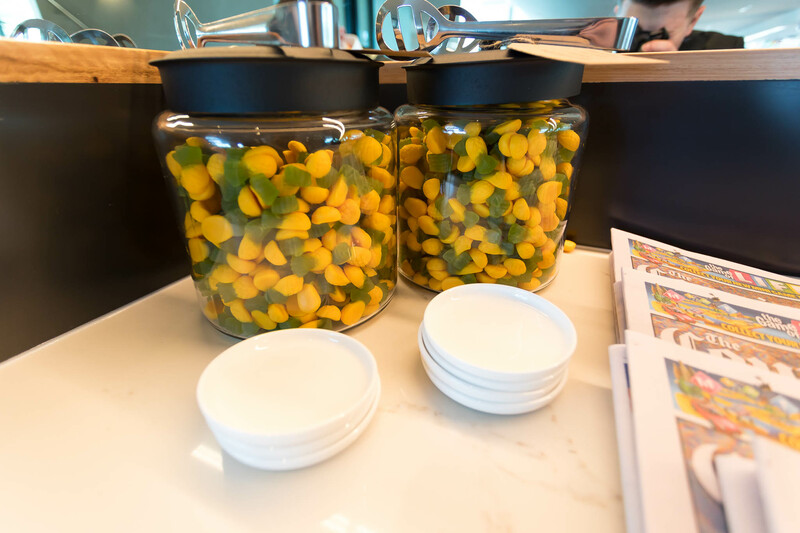 The lounge has many jars’s full of Pineapple lollies. 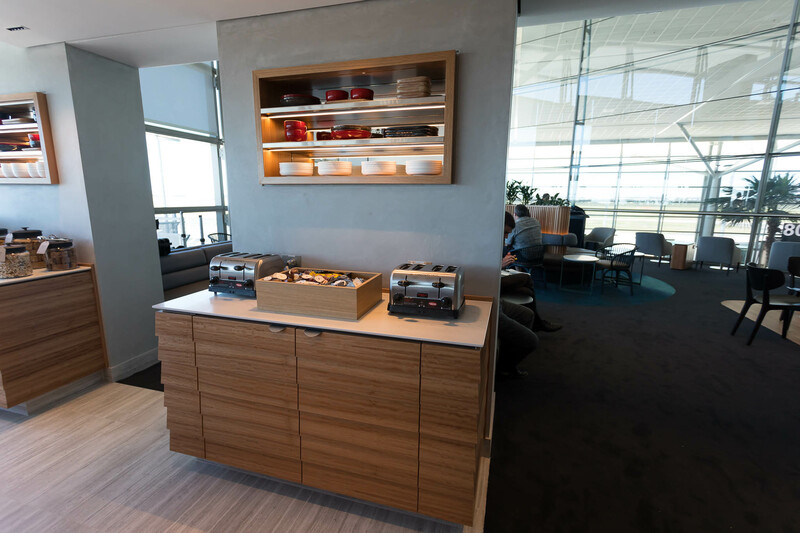 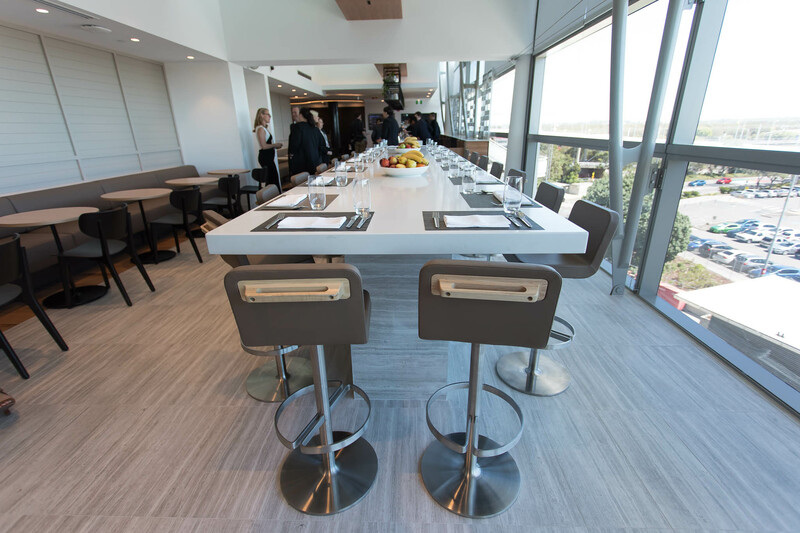 The dining area is in the center of the lounge on level 1. 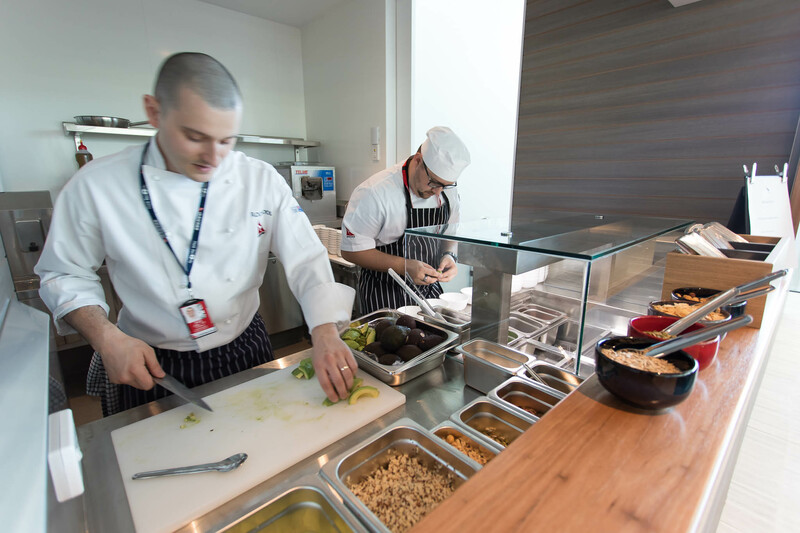 The food area has many self-serve options and is all fresh. 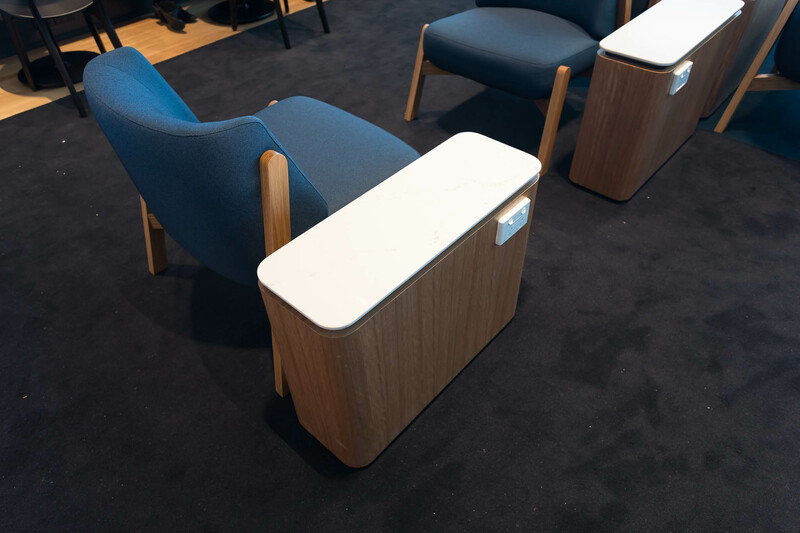 Qantas has listened to what customers wanted and has increased the amount of power outlets throughout the lounge. 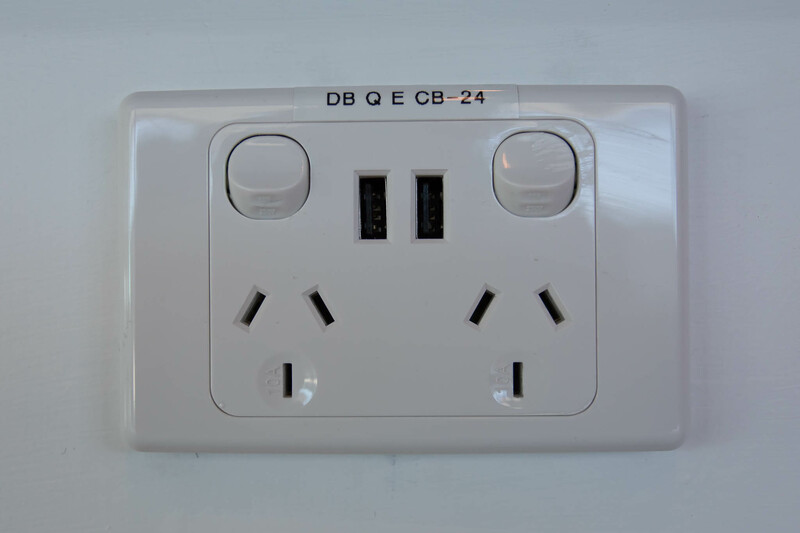 They have two plugs plus 2 USB ports. 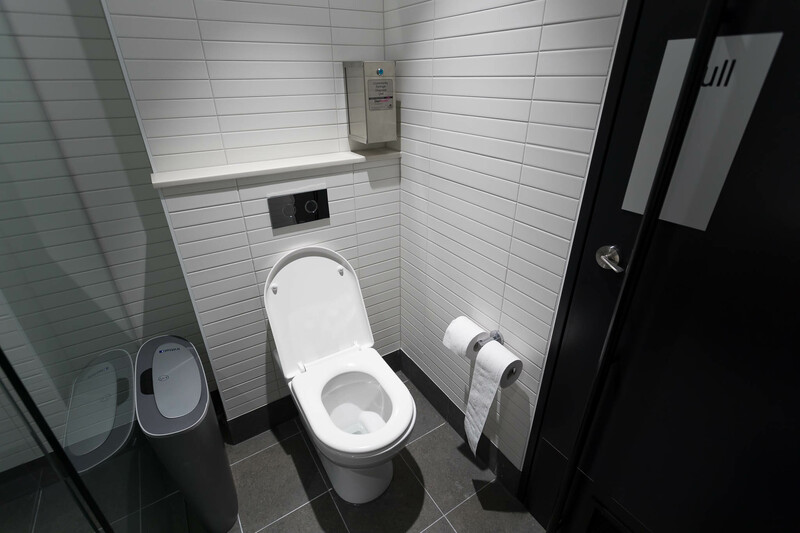 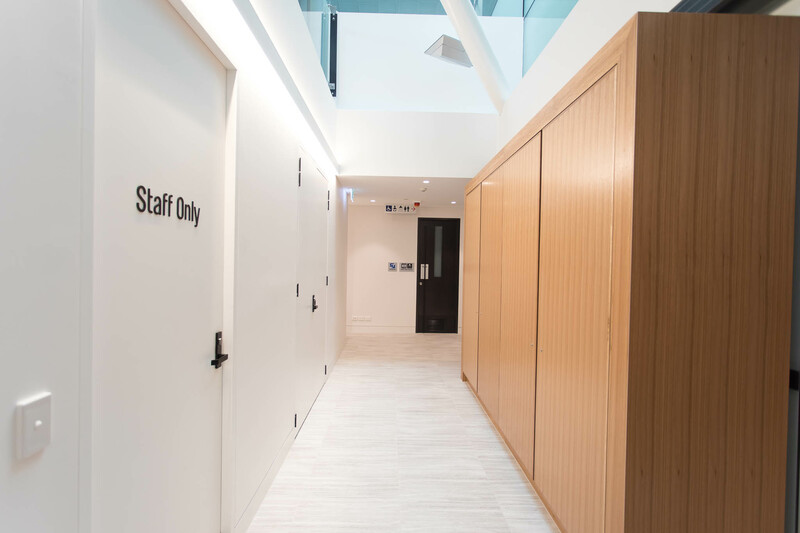 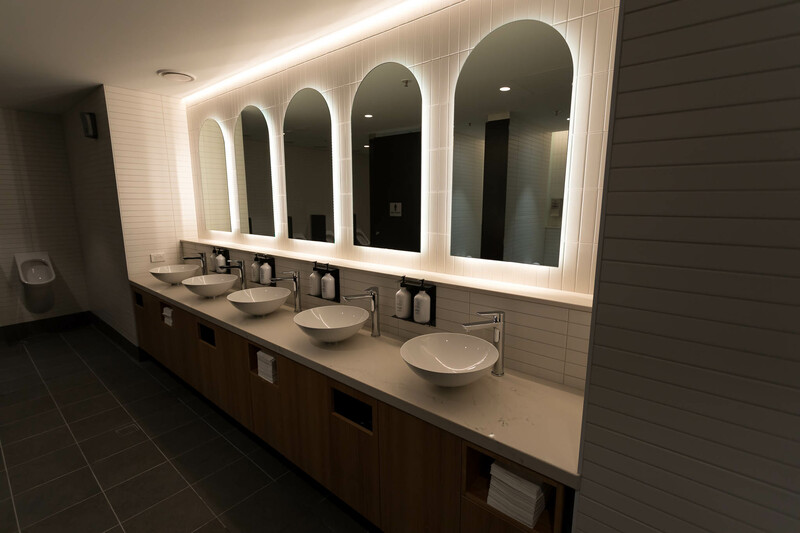 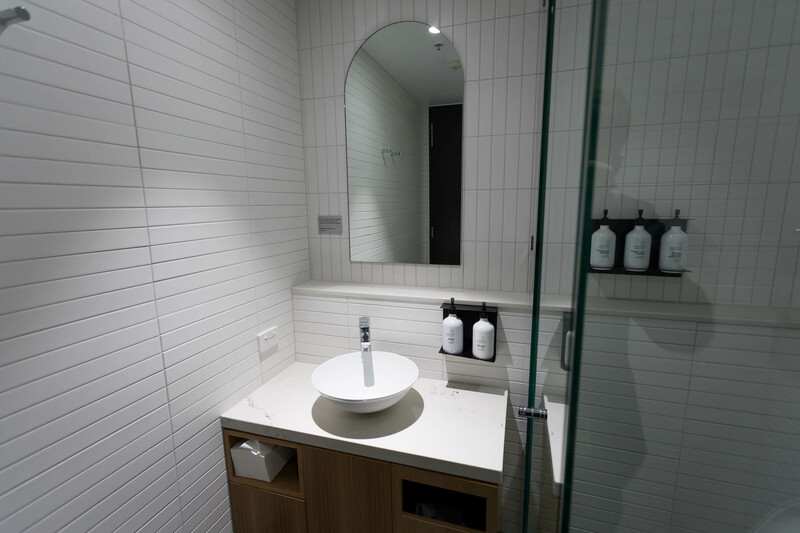 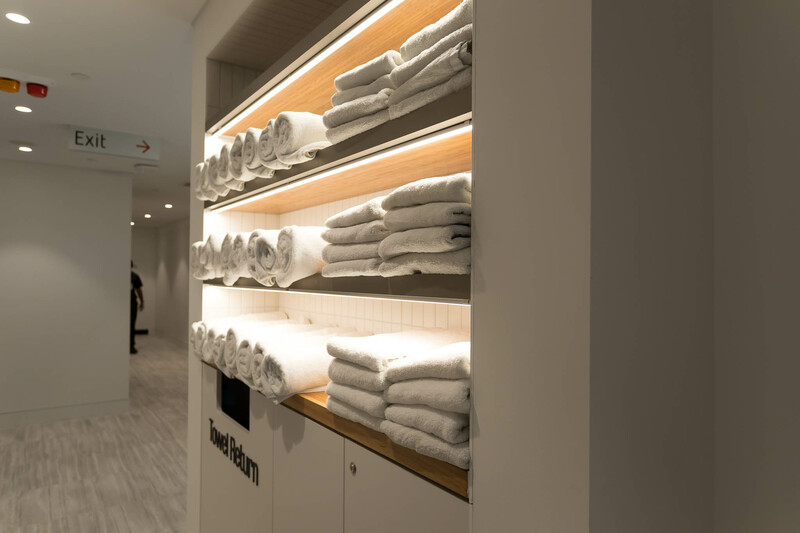 The bathrooms are identical to the Hong Kong and Singapore lounges and offer shower rooms. 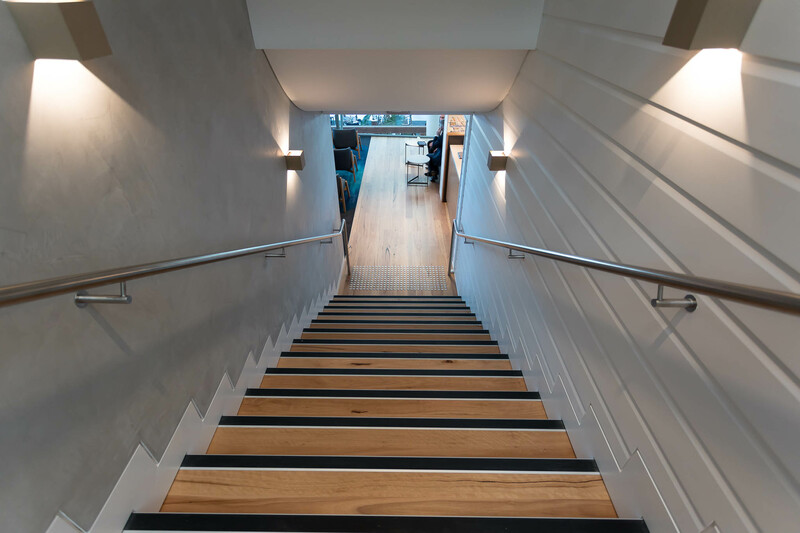 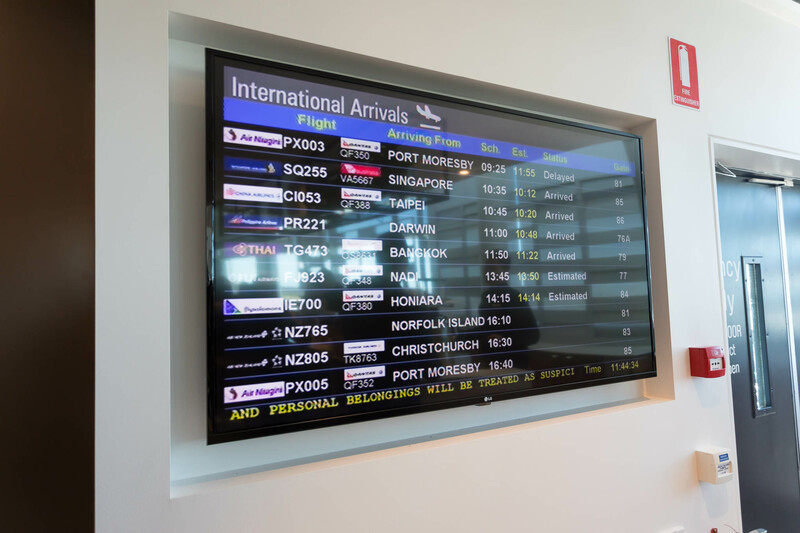 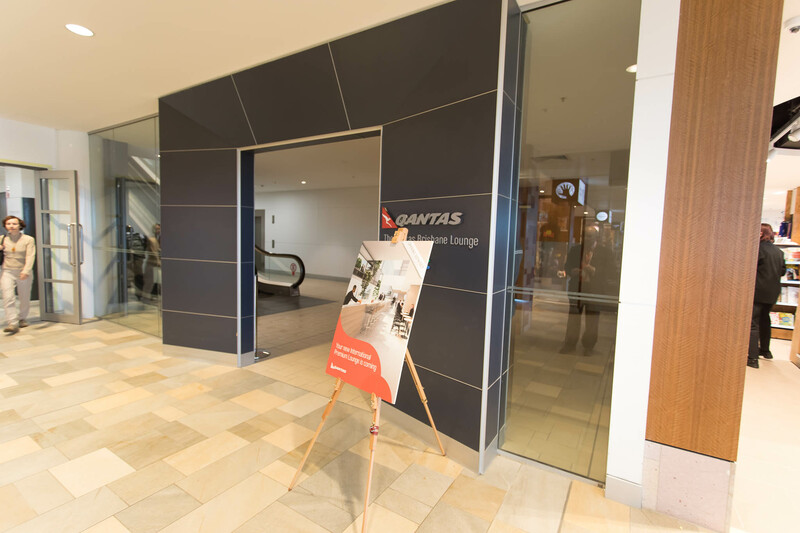 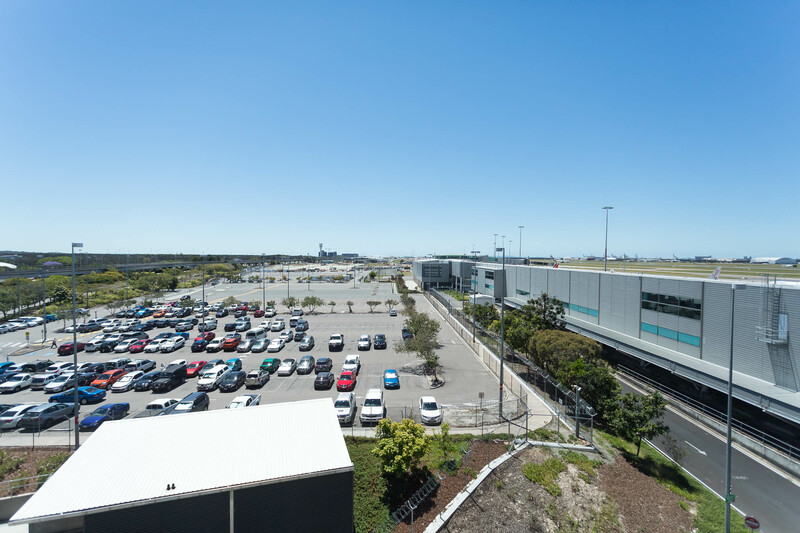 Qantas has now made level 2 accessible, and it looks brilliant, to say the least. 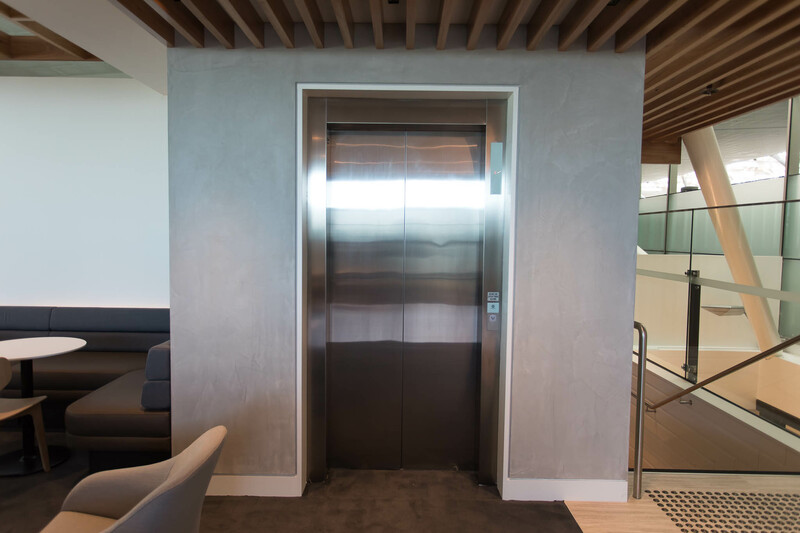 Level 2 can be accessed by stairs or the elevator. 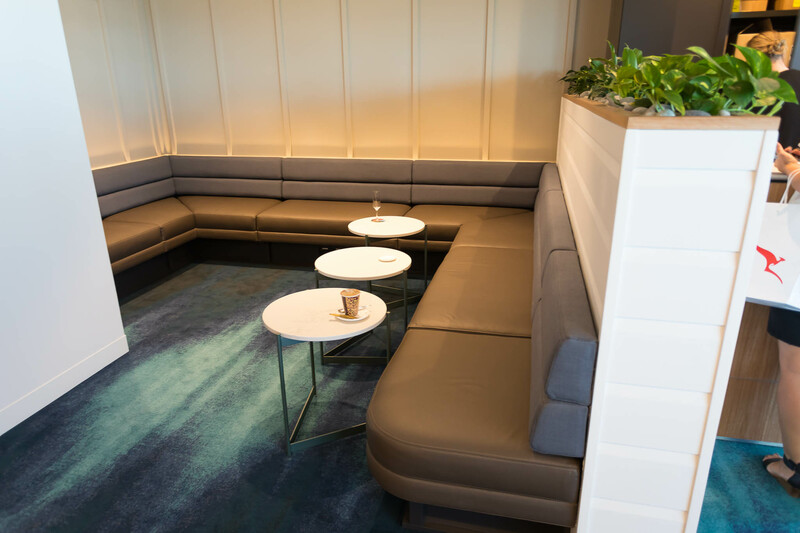 Level 2 has many seating area’s and it’s a great place to sit and relax. 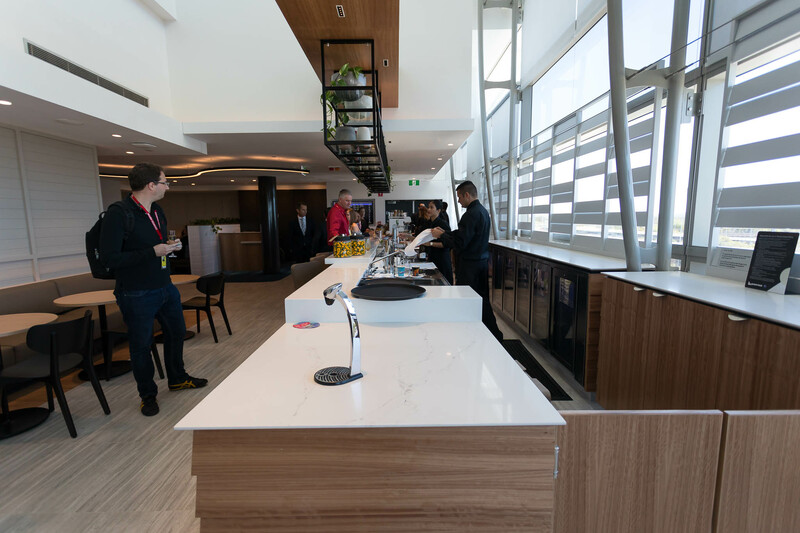 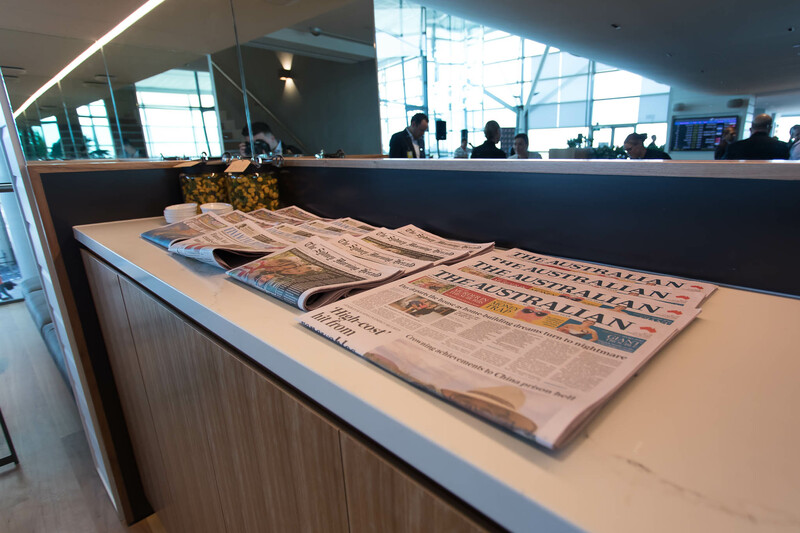 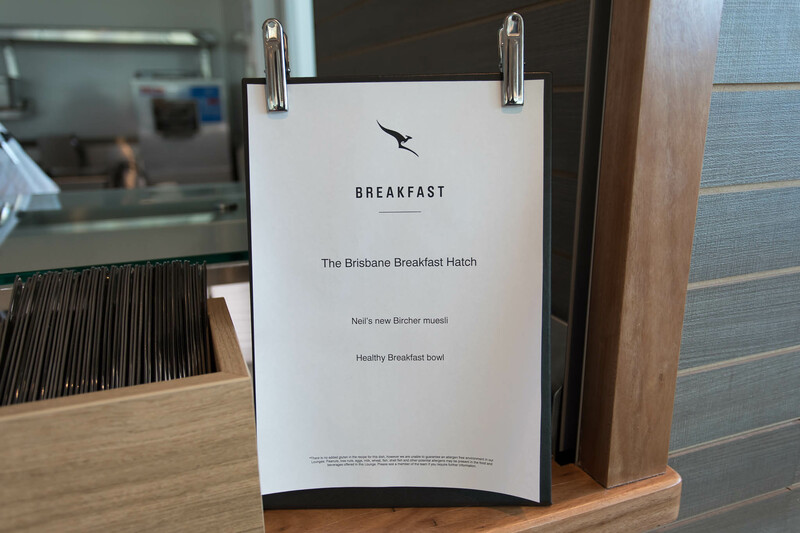 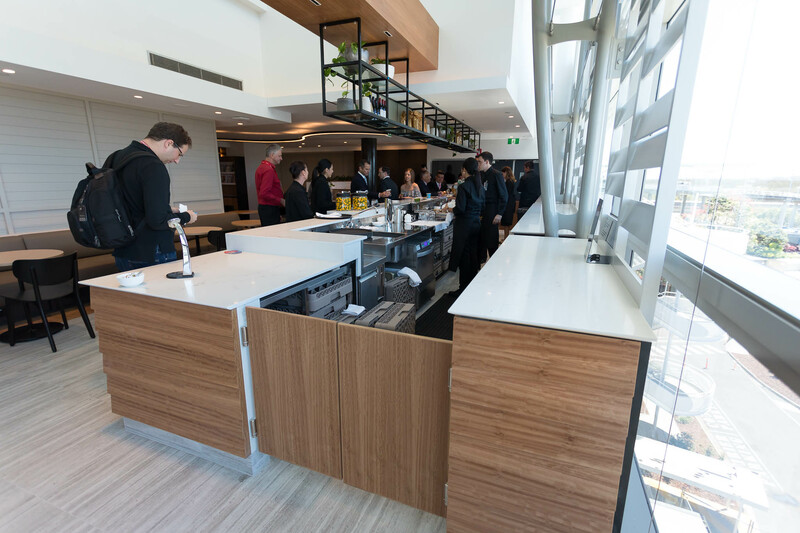 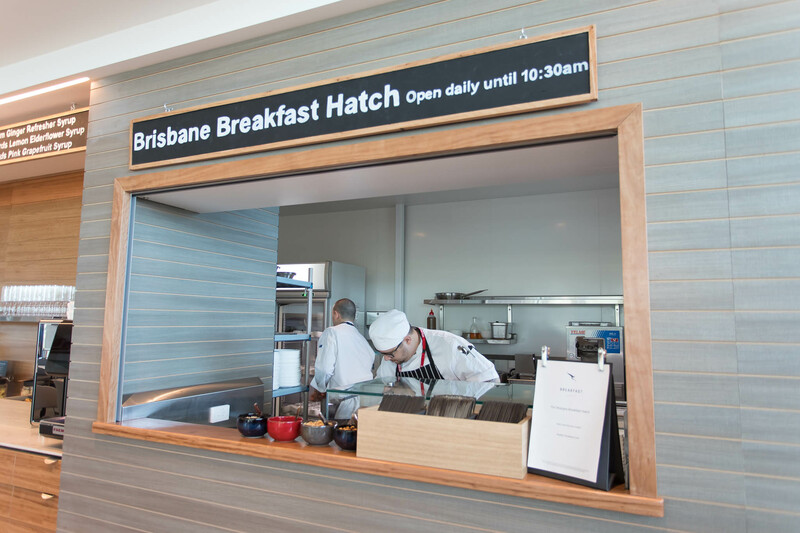 The new Brisbane international lounge is immaculate and definitely worth a visit. 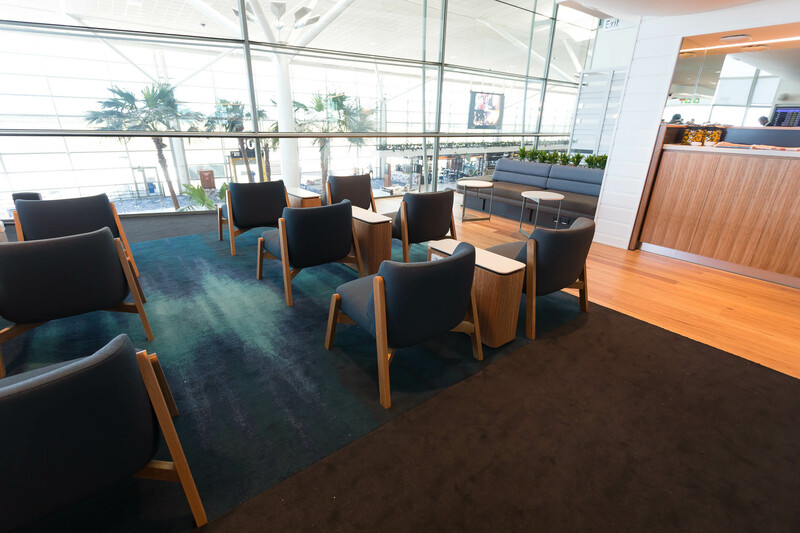 Qantas has done a brilliant job, and I’m sure a lot of travelers will be very happy with the upgrade. 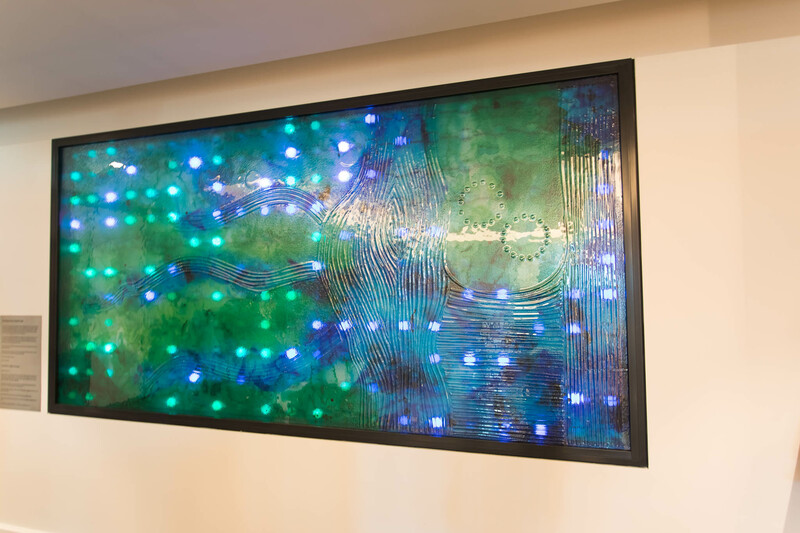 All images are property of myself – Zac George. 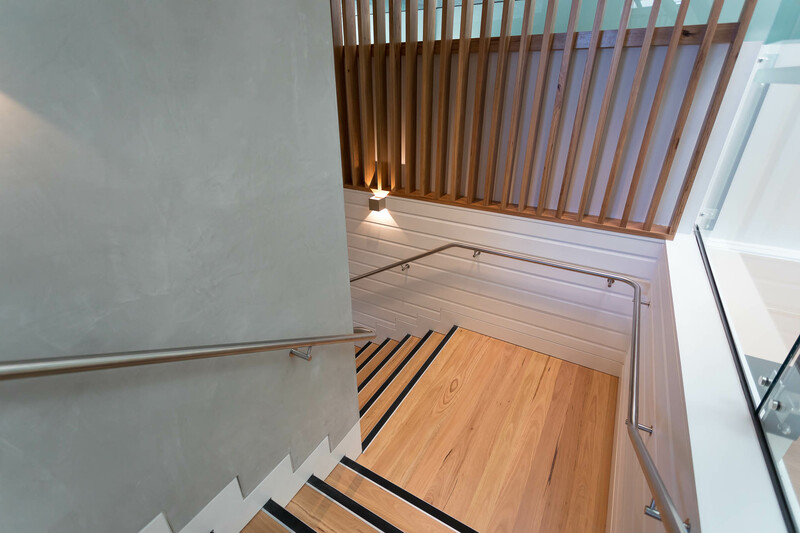 Please contact me if you wish to use these images.